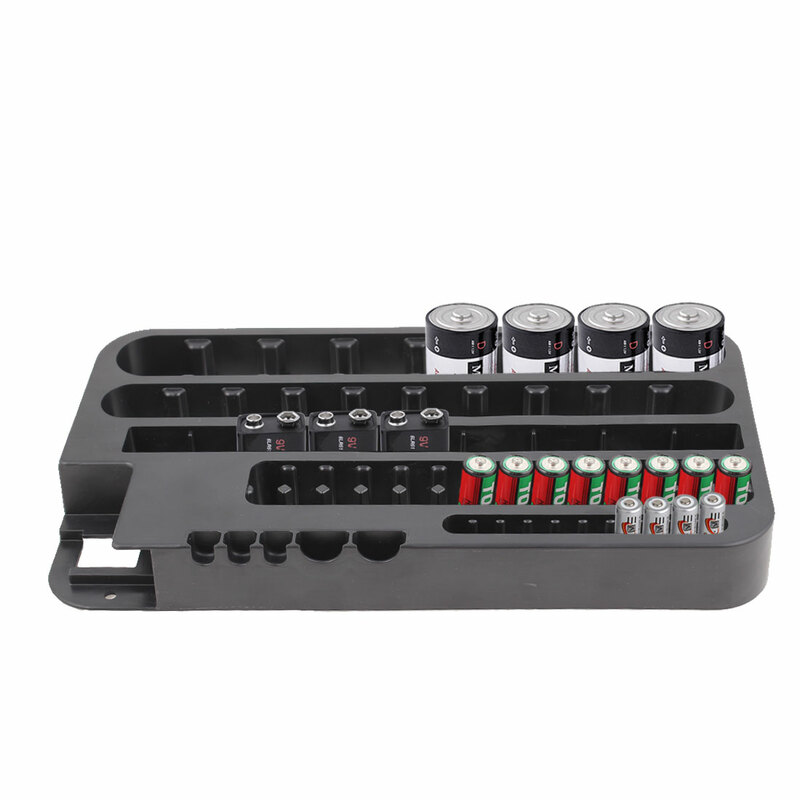 Our Battery Organizer with tester contains storage and test function together, it can hold up to 72 batteries(AAA, AA, C, D, 9V and even Button Cells).All the batteries size on the list can be hold and tested(AG, CR, AAA, AA, 9V, C, D). This product is perfect to storage in the drawer or mounted on the wall. -Replace: 1 light on(red), the battery is very low. -No Light: the battery is completely out of power. -Full charged 1.2V batteries only light red and yellow. -Only battery Organizer, battery is not included here. Do not test batteries with voltage higher than the port capacity.